By offering the UnifiMD Connectivity Platform as a suite, customers can save 50% on Lytec, Medisoft and UnifiMD PM software solutions. PALMER, Mass., October 2, 2017	(Newswire.com) - Michael Penna, President and CEO of Complete HealthCare Solutions, Inc., realizes that price-cutting is not enough and vows to increase value to the popular PM systems Lytec and Medisoft. Penna's company, Complete HealthCare Solutions, Inc, is an annual award-winning 22-year-old health care solutions Value Added Reseller (VAR) and national leader in the independent health care provider market. "The independent provider marketplace will not purchase based on price alone – there needs to be added value," says Penna. He adds that "Solutions addressing specific pain points in their daily workflow that effect revenue and patient satisfaction are paramount to any technology expenditure. The addition of UnifiMD's document management, scanning, electronic superbill, coding, charting and patient engagement features will make the eMDs Amnesty Program and 50 Percent Off Flash Sale an easy decision for Lytec and Medisoft customers." Lytec and Medisoft Practice Management Software are mature, stable products servicing thousands of practices believed to be representing more than 50,000 Medicare/Medicaid eligible clinicians — arguably the most popular solutions in the independent provider health care segment. Over the past few years, practices have fallen behind on their software upgrades, causing them to experience many challenges, risks and ultimately lack of efficiencies and a decrease in revenue. Data shows the number one reason practices fail to upgrade is the value compared to price. Joining eMDs in addressing the price to value challenge further demonstrates our leadership among the VAR community. Delivering Lytec/Medisoft integrated modules such as patient data integration, multimedia, document management, electronic superbills, patient letters, medication management and patient reporting increases the value proposition for our customers. The more problems we solve makes the eMDs price cutting promotion much more valuable. Complete HealthCare Solutions, Inc. provides electronic medical records and patient management software, medical billing services, and a universal platform for providers to connect to industry-leading technology. The company personalizes solutions to each practice, reducing implementation time and increasing adoption. For more information, visit www.chsclients.com. 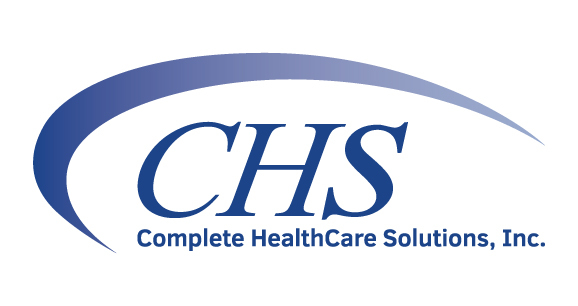 Source: Complete HealthCare Solutions, Inc.
CHS provides EMR & PM Software, Medical Billing Services and a universal platform for providers to connect to industry leading technology. We personalize our solutions to each practice, reducing implementation time and increasing adoption. Effective immediately, Lytec and Medisoft users ordering via Complete HealthCare Solutions, Inc. will receive a 30-day free trial period. CHS continues to expand their healthy footprint. Transaction significantly expands CHS's ambulatory marketplace growing footprint and revenue cycle management services.